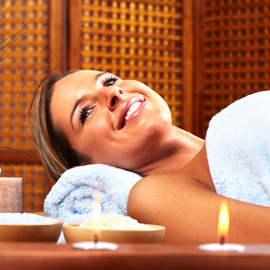 How massage therapy can benefit your body along with diets for weight loss in Ocala. If you’ve ever had a massage, then you probably don’t need to be convinced of its merits. After all, a massage feels great—what more is there to know? As it turns out, a deep-kneading massage therapy session can benefit your health in a variety of ways you may not be aware of. These benefits make massage a valuable tool for promoting whole-body wellness, especially during anti-aging. However, some people with preexisting conditions will need to avoid massage. If you suffer from painful symptoms like rheumatoid arthritis, osteoporosis, open wounds or fractures, talk to your weight loss doctor in Ocala to make sure massage will be safe in your case. A comforting character. It will be hard to get all the stress-busting benefits of a massage if your therapist’s personality or lack of experience gets in the way. A massage therapist should never do anything that makes you feel uncomfortable. Your massage therapist should go over the entire massage process beforehand if needed and demonstrate an understanding of your medical history. Credentials. Therapeutic massage can be performed by many different health professionals like physical therapists. Your masseur or masseuse doesn’t have to exclusively offer massage, but should have specific credentials to practice therapeutic massage from the state of Florida. Never accept a massage from someone who lacks a license or experience. At Lifestyle Solutions Medical Spa, our licensed massage therapists offer many different kinds of massage and can help you find the one that will work best for you. Massage isn’t just part of a relaxing spa weekend—with the right massage therapist, it can be a valuable complement to your anti-aging program. Talk to your weight loss specialist to see if massage is a good choice for you.